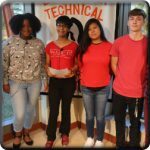 Connecticut Association Of Schools - Serving Students » Meet Our Hurricane Heroes! We would love to hear stories about how our Hurricane Heroes have gone about raising money for this worthwhile cause! Please share your fundraising activities – and photos! – by sending an email to Karen Packtor at: kpacktor casciac org. 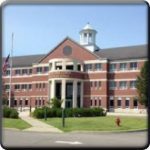 Congratulations to the Shelton Public Schools for their amazing fundraising efforts! Sunnyside and Long Hill Schools held a hat day and collected money from every student and staff member who wore a hat (see photos of Sunnyside’s hat day at left); Shelton Intermediate School and Mohegan School both sponsored a staff dress down day; and Shelton High School collected cash donations from students, parents and staff members. Additionally, the SHS Spanish Club held a dine-in/out fundraiser at Chili’s. The Plainville Community Schools raised more than $3,000 through its Put the Administrators on the Roof initiative. This amazing district-wide fundraising effort was covered by several media outlets. Check out the links below! 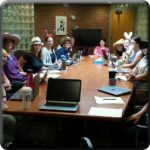 A large group of Griswold staff members met one morning before school to brainstorm ways they could help their students learn to give of themselves and show EMPATHY (one of the “Habits of Mind” that they are focusing on as a school this year). 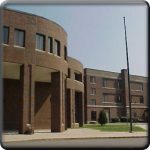 They resolved to undertake two fundraisers, the Coins for a CAUSE and Griswold Has Heart initiatives. For Coins for the CAUSE, the Community Kids, a volunteer service club for 4th & 5th graders, helped to collect coins in grade level jars each morning and announced the totals during morning announcements. Six wonderful teachers volunteered their classroom as counters for one of the days of the fundraiser. The 3rd grade won in the grade level wars with over $800. It was truly a total school effort. The “Griswold Has Heart” event was held on October 13th and raised money and awareness for hurricane victims by encouraging students and staff to donate $1 and wear a red or pink hat to school. Many thanks to Nancy Cavaliere, Community Kids Advisor and Tri-chair for Coins for a CAUSE! and $5 donations from staff members. All members of the school community were encouraged to wear blue and gold to demonstrate their unified effort to support those in need. The campaign raised more than $2,500! 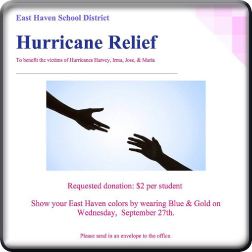 The Student Senate at East Lyme High School organized a Causes Day Hurricane Relief effort as part of its Spirit Week activities. 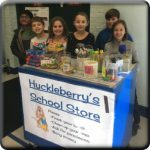 The students engaged in several activities to raise funds including selling t-shirts and a dollar drive that was a competition among the classes. The t-shirt was designed by ELHS student Alexandra Chambers and created in house in the school’s Viking Print shop, run by student Rachel Redding. Ninety-three percent of the student body participated in the fundraisers, which netted over $2,000! HKMS held a widely successful schoolwide fundraiser, collecting more than $1000 to support hurricane victims. The HKHS Student Council raised $1000 for hurricane relief from its Fall Homecoming Dance. Hall High School in West Hartford collected more than $1600 for hurricane relief. Hall’s Helping Hands club held a money wars and a student/faculty volleyball game to raise funds! 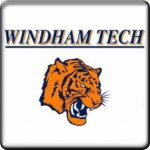 Windham Technical High School’s Student Council sponsored two Dress Down Days. On either October 6th and/or October 13th students were allowed to donate money in exchange for leaving their school uniforms at home and wearing their favorite everyday clothing. Students were asked to donate a minimum of $3, but were encouraged to give as much as they wanted. With just under 500 students in the whole school and less than half of them being able to dress out of uniform each dress down day, WTHS far exceeded the $353 suggested donation by CAS! Without hesitation, students donated beyond the minimum $3, dropping $5, $10, and $20 bills and not asking for change. Many students stated they felt personally connected to the relief efforts as they have family in areas affected by the hurricanes. New Milford High School made multiple donations to the CAS Hurricane Relief Funf, raising money by passing a jar around its lunch tables and taking up a collection in the main office. Additionally, the Interact Club, a community service club that is a youth branch of rotary, held a bake sale; and, the NMHS Drama Club made its own generous contribution. The entire Lewin G. Joel School community to support the CAS Hurricane Relief Effort! 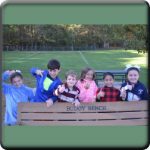 This provided the school with the opportunity to build its first student leadership team of 3rd grade ROCKERS – students who consistently show Respect, Ownership of decisions, Caring and Kindness, and Safety. 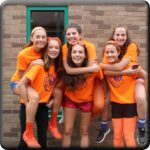 These students decided to hold a spirit day and voted on “Backwards Day” to encourage donations. They also made posters and helped collect and count the envelopes. It was a wonderful exercise in building leadership skills and empathy while contributing to an excellent cause. 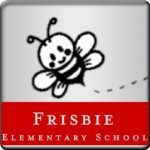 The students at Frisbie Elementary School in Wolcott raised over $1,000 for hurricane relief by sponsoring a penny war. The campaign was called “Coin Toss for Texans” as it was initiated as a fundraising effort to assist schools in Texas following the devastating impact of Hurricane Harvey. 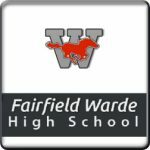 A number of clubs and organizations at Fairfield Warde High School made a combined contribution to the CAS Hurricane Relief Fund. 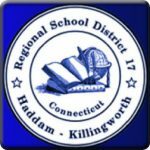 Upon hearing of the donation, the Fairfield Warde PTA decided to match it dollar for dollar, bringing the school’s total contribution to $1,000. Many thanks to the following groups at FWHS: The Key Club, Habitat for Humanity, Autism Speaks, Spanish Honor Society, FCCLA, Save the Children, S.T.A.N.D., AFS, Interact Club and, of course, the PTA! The Forbes School raised money for hurricane relief through the sale of bead bracelet kits and a change jar in the office. 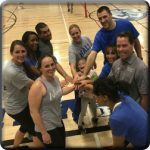 Its school-wide efforts netted more than $500! On October 6th, the E.C. Goodwin student council held a schoolwide fundraiser for hurricane relief. Through a “Wear Red” dress down day, the student council raised over $400. On October 13th, Bethany Community School sponsored a “Hat’s for Hurricane Relief” event. 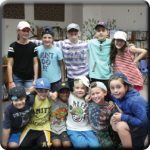 Students donated $1.00 to wear a hat during the school day, raising almost $400 to support needy schools through the CAS Hurricane Heroes Relief Fund. 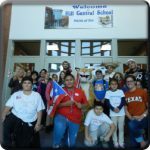 On October 13th, Hill Central School sponsored a walk-a-thon to raise money for hurricane relief. Community spirit overflowed as students and staff carried flags and proudly wore clothing to show their support of areas impacted by the hurricanes. Huckleberry Hill Elementary School in Brookfield recently held a vote that was organized by the student council on whether to donate $153, $253 or $353 to the CAS Hurricane Relief Effort. In the spirit of compassion and service, the HHES students voted to donate the maximum amount of $353. The money came from the proceeds of the school store which is run by student council members during lunch periods. 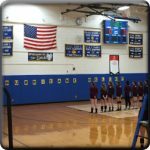 At its October 25th game against Canton High School, the Rockville High School girls volleyball team collected donations and sold concessions to raise money for the CAS Hurricane Relief Fund. North Branford High School ran a school wide Hurricane Relief Drive collecting supplies and non-perishable foods for hurricane victims in Florida and Puerto Rico. Over a period of three weeks, students brought in supplies ranging from toothbrushes to sunscreen. 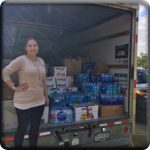 NBHS teacher Amy Farotti secured a truck to bring all the goods down to Florida where a contact down there would be donating to Puerto Rico as part of local relief efforts. The NBHS campaign was rolled out as an advisory competition with the advisory bringing in the most goods earning a breakfast cooked by administration!